This week, Javier Tebas, president of LaLiga, inaugurated the 5th Women’s Football Congress in Spain: #HablamosDeLoMismo organized by LaLiga and ACFF. In his initial speech, he was very concerned about the current situation of women’s football, showing his displeasure and warning of the danger that would involve a change of model at this time of the ‘women’s game’, something that the Spanish Federation is looking forward to doing in the future. “If the problem is LaLiga, which seems to be the center of all the problems of the Federation, LaLiga should move away,” he warned. The speech of Tebas began by referring to the past. “Four years ago, three women’s football clubs came into my office to ask me to help women’s football, it was not in my head, but they did what they could, among other things creating the Club Association,” he said. “The moment in which women’s football is happening today, which is good but not its roof, is the result of work, a strategy that was generated in the Association, with our help, never with our obligation. I wanted to organize the women’s football league, just pay that debt that football had with women’s football and that football would grow, “he added. “LaLiga has never tried, pretends or pretend to have the skills to organize women’s football,” he stressed on more than one occasion. About the current time, Tebas is committed to working once women’s football has exploded. “It is important to fill stadiums like the Wanda or San Mamés, but more important to bring more fans in the stadiums and to watch us on television, if we stay on the spot, we will fail,” he said. 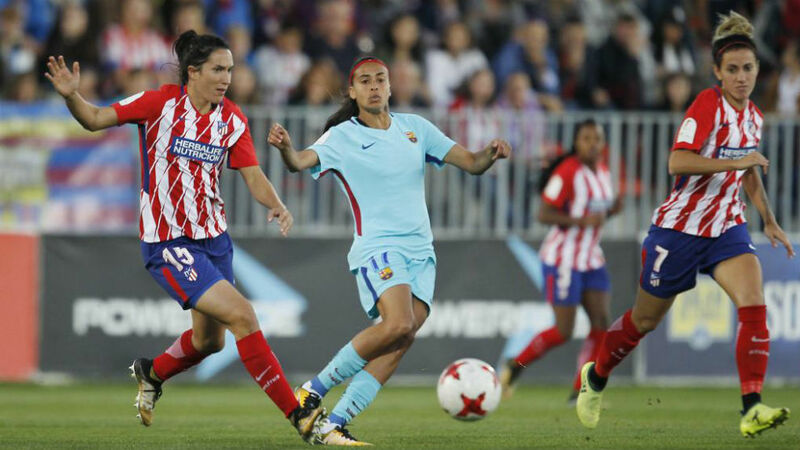 Tebas was again concerned about the Extraordinary Assembly of the RFEF on April 29, where a change in the Spanish women’s football competition model could be approved. “We have to keep growing and that is achieved with more capital to generate, we live in moments that worry me a lot, who will decide the future of women’s soccer, referees, indoor soccer clubs? Why change what has led to the explosion of women’s football? Why change the agreement between the ACFF and the RFEF of the creation of the First B?” he asked everyone. Tebas stressed his disappointment, in all areas, that a change at this time would be detrimental to women’s football. “That change is going to jeopardize the future of women’s football, without a doubt, sponsors and television operators do not want to occur, they want continuities, they want serious strategies and not agreements that are changed in 48 hours, the message is bad,” he said. “We’ll see if this can be changed, there are days to do it, but it’s sad to have to explain this.” Questioned by this clash of positions between LaLiga and the RFEF, Anair Lombi, player of Valencia, gave her opinion on the topic. “It’s not the time. It’s a fight of egos more than anything else. Now that the money starts coming in, curiously, everything begins to be contaminated,” she said.